SCHURTER, a leading innovator and manufacturer of electronic components introduced to the market a new series of MSM LA series vandalproof push-button switches. The encapsulation and actuator are made of high-quality stainless steel, thanks to which the switch can be used in appliances designed to operate in difficult environmental conditions and vandalproof applications. The version with spot or ring backlight (in red, green or blue colour) ensures visibility of the push-button at night. 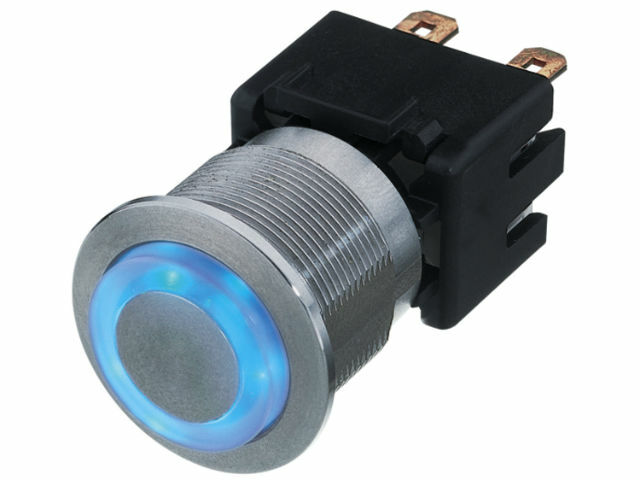 The switches are available for the mounting hole with a diameter of 19mm or 22mm.